The Calgary Association of Freelance Editors (CAFE) is a professional association promoting and developing freelance editors in Calgary and area. You can view my profile page here on the association’s website. 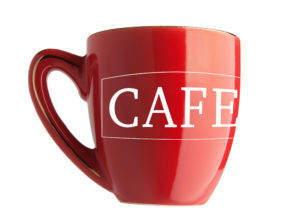 CAFE began in 1989 with a small group of editors as a forum to exchange information about editing. In 1995, it was officially incorporated as a society. In 2014, CAFE celebrated 25 years as a professional association. Nearly 70 members and over 200 friends, affiliates and organizations from the editing, writing, and literary community at large are invited to CAFE’s programs and activities. CAFE’s membership is a diverse group of people with a variety of talents and expertise. The CAFE membership is comprised of freelance editors, as well as in-house editors, writers, translators, and other professions such as public relations or document management that might have a strong editing component to their job. Learn more about The Calgary Association of Freelance Editors (CAFE) on their website.